contact in advance for availability, time/place changing and any other info about coming to Transnistria. The walk takes one hour and a half, it's not exhausting because you don't have to walk too much, but there is a lot to see and to know, you are going to get a very unique experience, I don't want to give it all out, but trust me, this is an original tour and you won't forget it. Route goes on Lenin street and 25 october street, you will see Kvint, House of Soviets, State Parliament, Dniester river and much more. Contact me before you arrive or last minute! 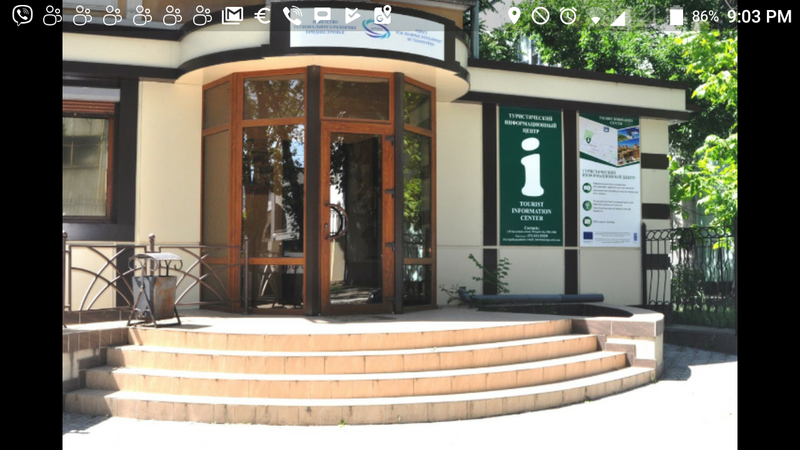 Go to BUS STATION AT PIAŤA ČENTRALA in Chišinau (Gara Centrala Chisinau, strada Mitropolit Varlaam 58, Chișinău https://g.co/kgs/Zn3VAF), take a bus (marshrutka) to Tiraspol (Тирасполь), ticket price is about 2 euro. Earliest buses start around 5-6-7-8am. The road takes about 2+ hours. When you cross the border to Transnistria you don't get a stamp in your passport, you just get a small paper with your name on it and how many hours you can stay in the country, then you give this paper to custom control officer on your way back. If you make it back. Ha ha. It's really safe and lovely here, you will do just fine. So, when you get the paper (let's call it entry visa, by the way it is free), you pass Bendery, then you arrive to Tiraspol Train/bus station (https://g.co/kgs/zpiFjT). Latest bus back to Chisinau goes at 6:40pm, you may check at the station anyway. So wee meet at Tourist info Centre or other venue points, write me so we could set time and place sure. I am noname in the country that doesn't exist but i tell you, give me a chance:) See you! I also recommend Free walking tour in Chisinau !!! If you ever happen to go to Transnistria, you are already full of cliches. And you know, some of what you’ve heard is true. The truth is, you are in a country that doesn’t exist, but it does. It has three national languages. It has marshrutkas and trolleybuses. Good wine and cognac. Soviet legacy within monuments and architecture. River Dniester between green hills and valleys. Old Turkish fortress in Bendery where Carl XXII was hiding from Peter the Great. And the folk. Hey, I just don’t want to give it all out, but tell you one more thing. The real name of the country is Pridnestrovie. Remember the word. And Pridnestrovie is unrecognized country. Just come and see. And decide for yourself if it deserves recognition. Anton's Tiraspol tour is exceptional as he will show you the town in an authentic, yet very special way (see for yourself!). We had a great time and learnt a lot that day. Thank you. Anton not only explained the secrets of Tiraspol (in eloquent English), but also showed me a secret spot for the best view of the city! Highly recommended! I absolutely recommend this tour, if don't do it you'll miss the best part of Transnistria. A very interesting tour--Anton speaks excellent English, is very open, and will show you interesting and uncommon places in Tiraspol. He knows a lot about the history and makes some nice art besides. Strongly recommended! I met Anton in Tiraspol after I saw online that he does free tour at 1pm each day. He's a really nice guy, super friendly - spending his lunch hour showing me around and talking about Transnistria/Pridnestrovie, even though it was freezing cold (started snowing for a while there too). If you're visiting Tiraspol, definitely meet up with Anton. Anton's walking tour was for me a great way of exploring Tiraspol. 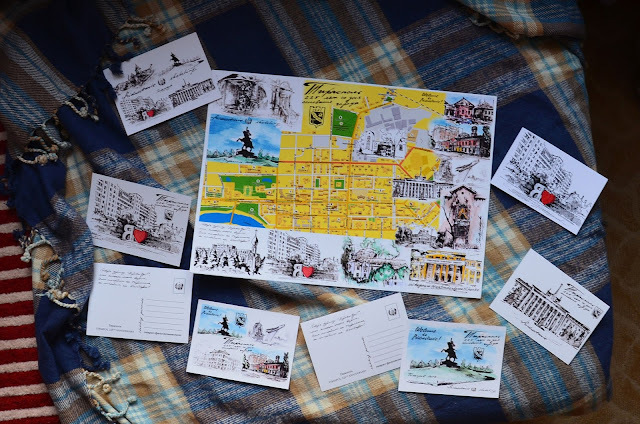 He did't only show the most interesting parts of the city - he also managed to describe how it is to live in "a country that doesn’t exist". Anton speaks English really well, he has a good eye for details and he is a really charming guide. I would definitely recommend the tour. Tour still exists as well as the country, contact in advance or last minute that you are coming!